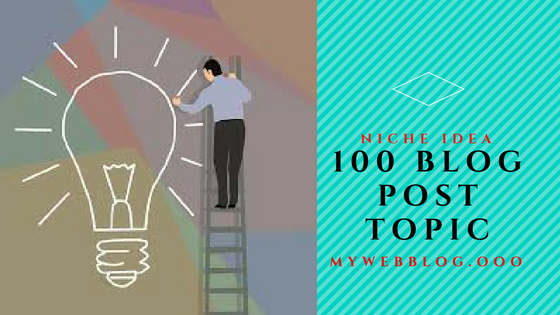 Blog Post Idea - These +100 blog post ideas will give you a niche topic for the blog. this will very easily the success of your blog. Hey guys all of us have learned how to create a blog, how to connect the domain to it, how to do SEO, how to connect hosting, Even after doing all this, our blog does not grow further? We all mistake people in the same place, searching for the topic, After making a blog, everybody chooses only 2-3 topics, either chose the topic related to technology. either chose health and fitness tops which traffic is high but competition is also very high. Due to high competition because traffic is very low in the blog. People prefer more common topics, and in common topics, there is more competition, due to which the blog is not ranked. choosing a niche topic, the traffic of your blog will also be increased. So follow this 100 topic.